After the completion of the first edX integrated course at Information Technology University (ITU) a certificate distribution ceremony held here today. Dr. Umar Saif Vice Chancellor of ITU awarded certificates among the course participants and remarked that it was a true moment of pride for being partner with edX, the global education platform. The incorporation of the edX course “Circuits and Electronics” from MIT with the course “Linear Circuit Analysis” offered at ITU has proven to be very effective. The First year ITU Electrical Engineering students took the Circuits and Electronics course at MIT through this partnership. Dr. Umar Saif expressing satisfaction added that it was an encouraging moment for ITU students who were taking the same exam as students at MIT. Education Technology is the future, and ITU is leading the way in fully embracing it”, he said. Dr. Saif further stated that the successful collaboration between ITU and edX was leading to the formation of the first “Digital University” in Pakistan. The collaboration with edX has enabled Pakistani students to take courses from top universities in the world in their classrooms at ITU under the supervision of the ITU faculty members, he said. In Pakistan this is the first of its kind partnership of edX with any university, in which online courses on edX are integrated into classrooms and supervised exams. Students earn a course completion certificate from a university such as MIT or Harvard and course credits from ITU. Currently ITU’s first year Electrical Engineering students were enrolled into the Circuits and Electronics course at MIT through this partnership. 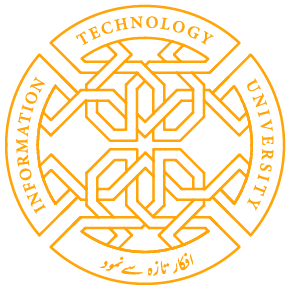 ITU of the Punjab, Lahore and the global education platform, edX, the nonprofit online learning destination founded by Harvard and Massachusetts Institute of Technology, under a Memorandum of Understanding (MOU) signed on February 27, 2017 integrated edX courses in the existing ITU degree programs. The high quality video lectures by Dr. Anant Agarwal – the world famous professor at MIT – were integrated into ITU lectures and reinforced during lab sessions. In addition to it, the students were exposed to a range of design problems in the lab sessions. This enabled the students to acquire a deeper understanding of the concepts. The students also interacted with the edX Teaching Associates and students at MIT through an online discussion forum. As part of the collaboration, the newly launched Micro-Masters programs from edX will be fully integrated into multiple degree programs offered by ITU from Fall 2017. 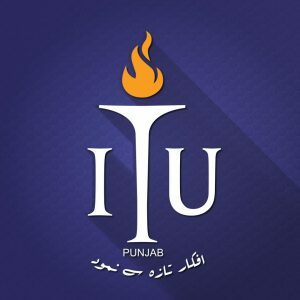 Project Director, Waqas Halim mentioned, “This unique blended-learning approach of intertwining distance learning and classroom instruction was remarkably effective. The classroom experience with supervised assessment and peer interaction was added by ITU, whereas course content and pedagogical underpinnings were contributed by MIT”. Share the post "First edX Integrated Course Certificate Distribution Ceremony ITU & edX Collaboration Establishes first “Digital University”-Dr. Umar Saif"